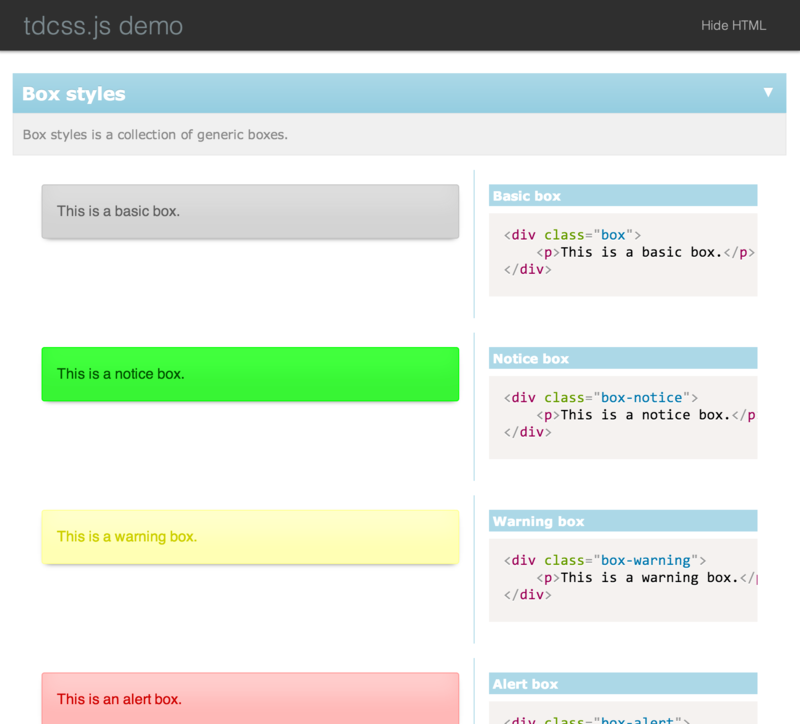 TDCSS helps you write and document solid, maintainable and modular CSS. It's especially well suited to adopt a test-driven approach to CSS styling - but of course you may just as well use it to build a regular online styleguide. What's the benefit over other styleguide tools? No server tech dependencies (no need for node.js, Ruby, PHP, etc.) - TDCSS is just a jQuery plugin that works on flat HTML files. No markup bloat - TDCSS uses HTML comments for structuring. Easy setup - Flat files make it super-easy to use TDCSS together with Livereload or similar browser refresh tools for an efficient workflow.